[S1168] Electronic, unknown repository address, Ancestry.com, Browne Township, pg 66, ED 6, sht 7. [S869] Electronic, unknown repository address, Census from Ancestry.com, Browne Township, ED 41-106, sht 4B. [S1999] Ancestry.com, electronic, Henry Gerdes. [S704] Electronic, unknown repository address, Ancestry.com, Bartonville, ED 14. [S552] Electronic, unknown repository address, HeritageQuest.com, Grant Township, pg 276. [S668] Electronic, unknown repository address, Ancestry.com, Scott Township, ED 80, Sht 8B. [S860] Electronic, unknown repository address, Census from Ancestry.com, Barnard, ED 22, image 2/7. [S519] Electronic, unknown repository address, HeritageQuest.com, Rehoboth Township, ED 213, sht 6B. [S1143] Electronic, unknown repository address, Ancestry.com, Hornby Township ED 133 pg 33 Fam 63. [S1144] Electronic, unknown repository address, Ancestry.com, Hornby Township ED 114 sht 6B Fam 154. [S1126] Electronic, unknown repository address, Ancestry.com, Hornby Township ED 51-44 sht 1B Fam 19. [S19] Unknown subject unknown repository, At FamilySearch.com. [S264] CA Death Records, online http://userdb.rootsweb.com/ca/death/search.cgi, Tenperance M. Iaeger. [S1114] Unknown editor, Iaeger Diaries. William Glading married Mehitabel Blanding, daughter of William Blanding III and Mehitabel Perry, on 30 June 1739.3,2 William Glading died on 9 January 1767 at Rehoboth, Bristol Co., MA. [S1436] NEHGS, "Daniel Angell Gleason", pg 278. [S1283] William Richard Cutter, NE Families, Genealogical, from Google books 12 Dec 2008, pg 221. [S1507] Electronic, unknown repository address, Ancestry.com, Coosawhatchie Township Ed 7 pg 145 sht 5 fam 84. [S1508] Electronic, unknown repository address, Ancestry.com, Beaufort Township Ed 61 sht 4b fam 27. [S1594] Electronic, unknown repository address, Ancestry.com, Beaufort Township Ed 6 sht 14b fam 334. [S34] Interview, unknown informant, Bill Blandin, 1900 census. [S1508] Electronic, unknown repository address, Ancestry.com, Beaufort Township Ed 61 sht 14b fam 27. [S315] LDS Census 1880, online, Oscar Blanding (son) Warwick, Franklin Co., MA, 259A. Thomas Goddard married Lydia Cook. [S1098] Electronic, unknown repository address, Ancestry.com, Huffs Creek Township, pg 582b, sht 4. [S974] Obits and Death Notice, online unknown url, Blandin, Alberta Bell, Evanston Review, IL, 22 Jan 1998. [S974] Obits and Death Notice, online unknown url, Blandin, Amos N., The Boston Globe, ME, 5 May 1982. [S42] Unknown short newspaper title, Dale Blandin Golis, The Lewiston Tribune 18 Jun 2011. [S974] Obits and Death Notice, online unknown url, Blandin, Ethel, Watertown Daily Times, NY, 10 Jul 1996. [S21] Edward Joy Paul, The Ancestory of Katharine Choate Paul, pg 55. [S8] Gordon Alan Morris and Thomas J. and Dixie Prittie, The Descendants of William Sabin of Rehoboth, Massachusetts. [S34] Interview, unknown informant, Bill Blandin 2 Mar 01. [S4] Leonard Clark Blanding, Genealogy of the Blanding Family, pg 170. [S1465] Electronic, unknown repository address, Ancestry.com, Sylvan Township pg 410 sht 29 fam 233. [S1467] Electronic, unknown repository address, Ancestry.com, Chelsea ED 241 pg 359 sht 45 fam 270. [S1470] Electronic, unknown repository address, Ancestry.com, Sylvan Township ED 106 pg 84 sht 4 fam 67. [S1477] Electronic, unknown repository address, Ancestry.com, Sylvan Township ED 142 pg 280 sht 8 fam 186. [S392] Victor Blandin, 5 Jun 1985, Ahnentafel Chart, 5 Jun 1985, GOODF824. [S392] Victor Blandin, 5 Jun 1985, Ahnentafel Chart, 5 Jun 1985, CHERA820. [S392] Victor Blandin, 5 Jun 1985, Ahnentafel Chart, 5 Jun 1985, CHERC864. [S1471] Electronic, unknown repository address, Ancestry.com, New Windsor Township fam 12. [S1472] Electronic, unknown repository address, Ancestry.com, Rivoli Township ED 186 sht 16 fam 80. [S1473] Electronic, unknown repository address, Ancestry.com, Howard Township ED 248 pg 273 sht 3 fam 57. [S263] Film, unknown repository address, pg 142. [S1314] Electronic, unknown repository address, Ancestry.com, San Francisco ED 211 sht 16. [S264] CA Death Records, online http://userdb.rootsweb.com/ca/death/search.cgi, Death Index 1940-1997 Gordon Blanding. [S455] Electronic, unknown repository address, ancestry.com, Oakland, Pg 161. [S315] LDS Census 1880, online, San Francisco, San Francisco Co., CA, pg 219D. [S4] Leonard Clark Blanding, Genealogy of the Blanding Family, pg 76. [S263] Film, unknown repository address, St. Philip & Michaels, pg 142, roll 850. [S455] Electronic, unknown repository address, ancestry.com, Oakland, Pg 161 sht 65. Carrie J. Gorton was born on 6 September 1843 at NY.2 She lived at Morrisville, Madison Co., NY.4 She married Franklin Blanding, son of William Blanding and Amanda Filkins, in April 1881.5,1,2,3 As of April 1881,her married name was Blanding.5,1,2 Carrie J. Gorton appeared on the census of 1 June 1900 at Hamilton Township, Madison Co., NY.2 She died on 6 April 1904 at age 60. [S543] Electronic, unknown repository address, HeritageQuest.com, Hamilton Township, pg 143. [S240] Anonymous, NY, Madison Co. Bio, pg 193. [S34] Interview, unknown informant, Terry Blanding, Grandson of Glen Greeley Blanding, 1 Oct 2011, Bible Record. [S1890] Electronic, unknown repository address, Ancestry.com, Sangerfield, ED 120 pg 179 sht 9. [S1310] Electronic, unknown repository address, Ancestry.com, Sangerfield, ED 45 sht 9. [S1311] Electronic, unknown repository address, Ancestry.com, Sangerville, ED 97 sht 6B. [S242] Ancestry.com, online www.Ancestry.com, Miller/ Alderson Family Tree, whitestormy. [S558] Electronic, unknown repository address, HeritageQuest.com, German Flatts, pg 171 B. [S615] Electronic, unknown repository address, HeritageQuest.com, Pg 219. [S682] Electronic, unknown repository address, Ancestry.com, Buffalo, ED 13, pg 203. [S1171] Electronic, unknown repository address, Ancestry.com, Freeport, ED 8-14, sht 2B. [S963] E. C. Felton, "Ancestors of John Bent", pg 65. [S963] E. C. Felton, "Ancestors of John Bent", pg 66. [S962] Allen H. Bent, "Bent Family", Pg 289. [S1512] Electronic, unknown repository address, Ancestry.com, Saint Paul ED 9 sht 21 fam 13. [S534] Electronic, unknown repository address, HeritageQuest.com, Saint Paul ED 122 sht 8b fam 166. [S1513] Electronic, unknown repository address, Ancestry.com, Saint Paul ED 98 sht 11b fam 254. [S315] LDS Census 1880, online, Buffalo, Erie Co., NY, pg 76B. [S598] Electronic, unknown repository address, HeritageQuest.com, Pg 78. [S680] Electronic, unknown repository address, Ancestry.com, Buffalo, ED 207, Sht 17B. [S1598] Electronic, unknown repository address, Ancestry.com, Buffalo ED 32 sht 2b fam 40. [S315] LDS Census 1880, online, Devalson Blanding (son/law) Buffalo, Erie Co., NY, pg 76B. [S476] Electronic, unknown repository address, ancestry.com, Landis Township. [S315] LDS Census 1880, online, Dist 1 & 2, Landis, Cumberland Co., NJ, pg 321D. [S561] Electronic, unknown repository address, HeritageQuest.com, Brookline Township, pg 289. [S619] Electronic, unknown repository address, HeritageQuest.com, Pg 112. [S827] Film, unknown repository address, NARA, Seattle, Boston ward 4, Roll 523, pg 193. [S1730] Electronic, unknown repository address, Ancestry.com, Goshen, fam 102. [S1731] Electronic, unknown repository address, Ancestry.com, Claremont, sht 54, fam 453. [S1736] Electronic, unknown repository address, Ancestry.com, Claremont, ED 47, fam 53. [S1735] Electronic, unknown repository address, Ancestry.com, Claremont, sht 2, fam 14. [S242] Ancestry.com, online www.Ancestry.com, MN Cemetery Index, Emma F. Way. [S1739] Electronic, unknown repository address, Ancestry.com, Claremont, Ed 3, sht 8B. [S1269] Unknown name of person, MN Death Record, Emma F. Way. [S1304] Electronic, unknown repository address, Ancestry.com, Goshen, pg 507, sht 3. [S1744] Electronic, unknown repository address, Ancestry.com, Goshen, ED 269, sht 6, fam70. [S34] Interview, unknown informant, Bill Blandin 1/6/11. [S4] Leonard Clark Blanding, Genealogy of the Blanding Family, pg 157. [S1570] Electronic, unknown repository address, Ancestry.com, Topeka ED 178 sht 8b fam 187. [S1571] Electronic, unknown repository address, Ancestry.com, Mission Township ED 142 pg 106 sht 5 fam 117. [S1072] Electronic, unknown repository address, Ancestry.com, Pottawatomie, 1903, image 18/662, pg 18. [S1072] Electronic, unknown repository address, Ancestry.com, Pottawatomie, 1906, image 100/662, pg 19. [S1072] Electronic, unknown repository address, Ancestry.com, Pottawatomie, 1909, image 188/662, pg 17. [S331] Frank Osgood, "E-Mail Frank Osgood," e-mail to Bill Blandin, 29 Oct 01, 29 Oct 2001. [S356] Letter, Frank Osgood to Bill Blandin, 1 Nov 2001, Sonenson, Elizebeth, DAR Appl # 150391. [S356] Letter, Frank Osgood to Bill Blandin, 1 Nov 2001, MA Soldiers and Sailors of the Rev. War, Vol 6, pg 728. [S331] Frank Osgood, "E-Mail Frank Osgood," e-mail to Bill Blandin, 29 Oct 01, 29 Oct 01. [S815] Film, unknown repository address, NARA, Seattle, Cumberland Fam # 316. [S838] Film, unknown repository address, NARA, Seattle, Cumberland Fam # 1354 sht 182. [S1058] Electronic, unknown repository address, Ancestry.com, Sheffield Township ED 167 pg 232 sht 3o fam 605. [S1060] Electronic, unknown repository address, Ancestry.com, Sheffield Township ED 62-22 sht 2b fam 58. [S34] Interview, unknown informant, Bill Blandin 2/24/00. [S4] Leonard Clark Blanding, Genealogy of the Blanding Family, pg 111. [S229] Film, 6125 Sand Point Way NE, Seattle, WA, King Co., Herman Township fam 575. [S262] GenForum, online http://genforum.genealogy.com/blanding.html, Blanding Forum, Cheri Mitchell, 17 Feb 2001. [S441] Germaine Allard Long Hoffman, Brookline VT Gravestones, pg 7. [S57] Unknown volume, unknown short title: Vital Rec. of Putney, VT to 1900, unknown repository. [S440] VT Brookline Town Records, 2: Deaths 1868-1896, pg 156. [S224] Anonymous, Wellsmans of VT, pg 290. [S440] VT Brookline Town Records, 2: Deaths 1868-1896, pg 144. [S242] Ancestry.com, online www.Ancestry.com, Perkins Family Tree, 20 Feb 07. [S264] CA Death Records, online http://userdb.rootsweb.com/ca/death/search.cgi, CA Death Index, 1940-1997, Ancestry.com, 9 Mar 09, Mary M. Blanding Herdman. [S34] Interview, unknown informant, Terry Blanding, Grandson of Glen Greeley Blanding, 1 Oct 2011. [S426] Electronic, unknown repository address, ancestry.com, Chautauqua, ED 42, sht 24, pg 78b. [S533] Electronic, unknown repository address, HeritageQuest.com, Sherman, ED 126, sht 9a, pg 236. [S594] Electronic, unknown repository address, HeritageQuest.com, Westfield, ED 192, sht 3a, pg 261. [S424] Electonic, unknown repository address, ancestry.com, Westfield, ED 194, sht 2b, pg 254b. [S960] Unknown author, unknown subject in "Blanding Message Board," listserve message unknown original date, From exskwid, 7 Jul 2001. [S427] Electronic, unknown repository address, ancestry.com, Westfield, ED 105, image 34/35. [S960] Unknown author, unknown subject in "Blanding Message Board," listserve message unknown original date, From HollyAdams01, 18 May 2010, from marriage cert. [S34] Interview, unknown informant, Terry Blanding, Grandson of Glen Greeley Blanding, 1 Oct 2011, Harry Blanding obituary. [S1143] Electronic, unknown repository address, Ancestry.com, Hornby Township, ED 132, sht 2b. [S1144] Electronic, unknown repository address, Ancestry.com, Hornby Township, pg 270 sht 7 ED 114. [S1037] Electronic, unknown repository address, Ancestry.com, Valley Precinct, ED 56, sht 10B. [S1215] Electronic, unknown repository address, Ancestry.com, Leavenworth, ED 14, sht 2B. 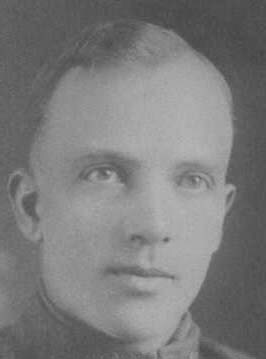 [S1083] Alton Raymond Getchell, electronic, WA Birth Records, 1907-1919, Ancestry.com, 18 Oct 2008 (5 Jan 1913). [S401] FamilySearch, online FamilySearch.com, Ind. Rec., Comp Disc #11, Pin #721703. [S401] FamilySearch, online FamilySearch.com, Ind. Rec., Comp Disc #11, Pin #721704. [S290] Orin R Wells, "Richard Wells Vinginia", Pg 650. [S913] Unknown compiler, James Peter Hutchinson, e-mail address, 15 Apr 2006. [S966] Unknown subject, Report, 1993 unknown repository, from Charles C. Wells, 1993. [S34] Interview, unknown informant, Beverly Greeno letter, Feb 2006. [S34] Interview, unknown informant, Beverly Greeno. [S22] Unknown subject unknown repository, Charles Greenough. [S34] Interview, unknown informant, Lois Geenough, 1 Sep 2002. [S1305] Electronic, unknown repository address, Ancestry.com, Gill Township ED 478 pg 115 sht 3 fam 50. [S1306] Electronic, unknown repository address, Ancestry.com, Greenfield ED 499 sht 29b fam 711. [S1308] Electronic, unknown repository address, Ancestry.com, Greenfield ED 6-14 sht 4b fam 98. [S1156] Electronic, unknown repository address, Ancestry.com, Clarksburg Township ED 27 sht 5b fam 109. [S382] Electronic, unknown repository address, Ancestry.Com, Los Angeles ED 136 sht 10b fam 80. [S766] Electronic, unknown repository address, Ancestry.com, Culver City ED 19-1532 pg 31 sht 3 fam 85. [S34] Interview, unknown informant, Juanita Greenwood McPartland, 3 May 10. [S770] Electronic, unknown repository address, Ancestry.com, North Adams ED 34 sht 10b fam 210. [S766] Electronic, unknown repository address, Ancestry.com, Inglewood Township ED 19-1007 pg 115 sht 1 fam 6. [S1324] Electronic, unknown repository address, Ancestry.com, Fort Williams ED 47 sht 16b. [S466] Electronic, unknown repository address, ancestry.com, Clinton Township. [S803] Electronic, unknown repository address, Census from Ancestry.com, Clinton Township, pg 155. [S802] Film, unknown repository address, Roll 835, Clinton Township, pg 205, Roll 835. [S511] Electronic, unknown repository address, ancestry.com, Clinton Township ED12 pg 170 sht 13. [S315] LDS Census 1880, online, With Jeremiah Darling, Clinton, Wayne Co., PA, pg 170A. [S802] Film, unknown repository address, Roll 835, pg 205. [S803] Electronic, unknown repository address, Census from Ancestry.com, Clinton Township, pg 156. [S697] Electronic, unknown repository address, Ancestry.com, Corsicana, ED 148, Sht 5B. [S891] Electronic, unknown repository address, Census from Ancestry.com, Corsicana, ED 5, image 11/47. [S710] Unknown compiler, 10 Feb 2004, Feb 2004. [S419] Frances Gibson, "E-mail, Gibson, Frances," e-mail to Bill Blandin, Obituary of Lucy Blanding Hunt. [S419] Frances Gibson, "E-mail, Gibson, Frances," e-mail to Bill Blandin, Obituary of Maria D. Groat Hunt. [S1293] Electronic, unknown repository address, Ancestry.com, Hannibal pg 807 sht 179. [S995] Electronic, unknown repository address, Ancestry.com, Kadoka Twp, ED 100, sht 6b. [S996] Electronic, unknown repository address, Ancestry.com, Kadoka Twp, ED 99, sht 5b. [S997] Electronic, unknown repository address, Ancestry.com, Kadoka Twp, ED 14, pg 210, sht 2. [S477] Electronic, unknown repository address, ancestry.com, Binghamton, Ward 4. [S315] LDS Census 1880, online, 4th Ward, Dist 1, Binghamton, Broome Co., NY, pg 137A. [S562] Electronic, unknown repository address, HeritageQuest.com, Bloomfied, Ward 3, pg 310 B. [S804] Electronic, unknown repository address, Census from Ancestry.com, Harford Township, pg 327. [S777] Electronic, unknown repository address, Ancestry.com, Harford Township, pg 329, roll 829. [S804] Electronic, unknown repository address, Census from Ancestry.com, Harford Township, pg 328. [S958] Find A Grave, online www.findagrave.com, Edna M. Gulliver Blandin, died 5 Jun 1999, Mason City Globe Gazette Online Obits, 6 Jun 1999. [S1936] Electronic, unknown repository address, FamilySearch.org, Osage, pg 116, ED 66-14, sht 18. [S958] Find A Grave, online www.findagrave.com, Edna M. Gulliver Blandin, died 5 Jun 1999. [S1780] Electronic, Ancestry.com, unknown record info, Fairfax, Line No. 20. [S216] Film, 6125 Sand Point Way NE, Seattle, WA, King Co., Silver Creek Twp, pg 29, sht 4, ED 75. [S381] 15 Apr 1910 Electronic, unknown repository address, Ancestry.com, Martinsburg, Galena Township, pg 7b, sht 7b, ED 79. [S381] 15 Apr 1910 Electronic, unknown repository address, Ancestry.com, Galena Township Image 14 of 49. [S381] 15 Apr 1910 Electronic, unknown repository address, Ancestry.com, Galena Township, Image 14 of 49. [S592] Electronic, unknown repository address, HeritageQuest.com, Pg 304. [S842] Electronic, unknown repository address, Census from Ancestry.com, Bartow, pg 228. [S843] Electronic, unknown repository address, Census from Ancestry.com, Bartow, pg 236, sht 6b. [S865] Electronic, unknown repository address, Census from Ancestry.com, Cambridge ED 9-30 pg 212 sht 19 fam 353. [S1376] Electronic, unknown repository address, Ancestry.com, Newfane Township ED 120 pg 151 sht 5 fam 59.